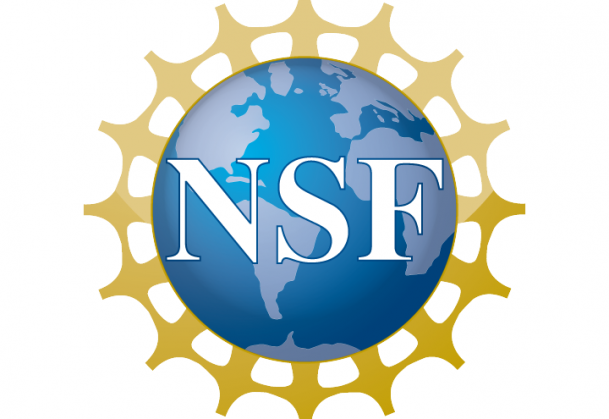 Dr. Kessentini received an NSF grant as a Lead PI around "Software Health Monitoring and Improvement Framework" in the amount of $300,000 for three years. Our Search Based Refactoring Framework is licensed to industry. In collaboration with the University of Michigan Technology Transfer office, 9 of our search based refactoring inventions around search-based refactoring are licensed to industry. 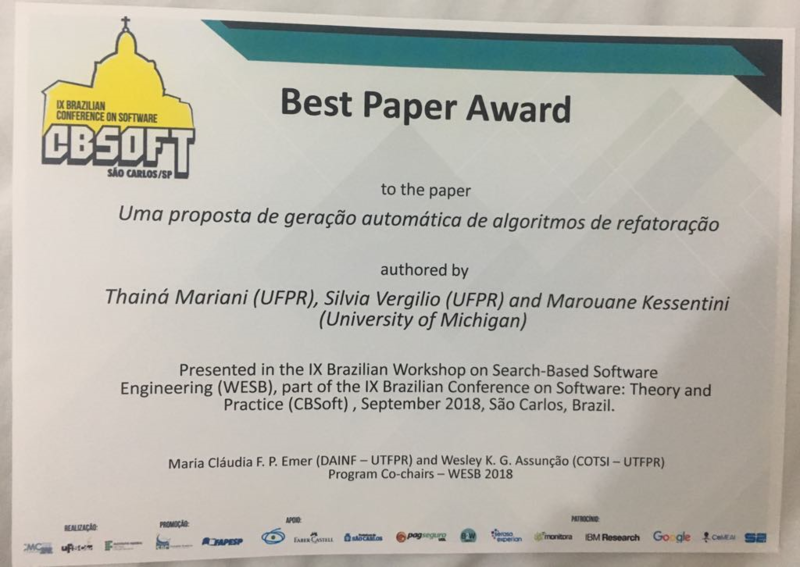 We got the best paper award of the 9th Brazilian Workshop on Search-Based Software Engineering around automated search-based refactoring! Join our Intelligent Software Engineering (ISE) Research Lab ! I am looking for motivated post-docs and graduate students interested in Software Engineering and Computational Intelligence research. Please send me an email with your resume, transcripts and published research materials if you are interested to join us! 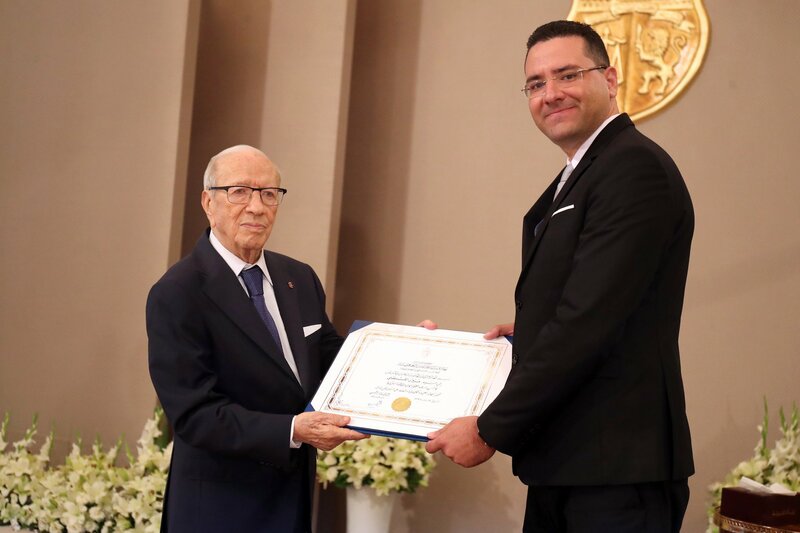 Dr. Marouane Kessentini is a recipient of the prestigious 2018 Distinguished Research Award from the President of Tunisia. 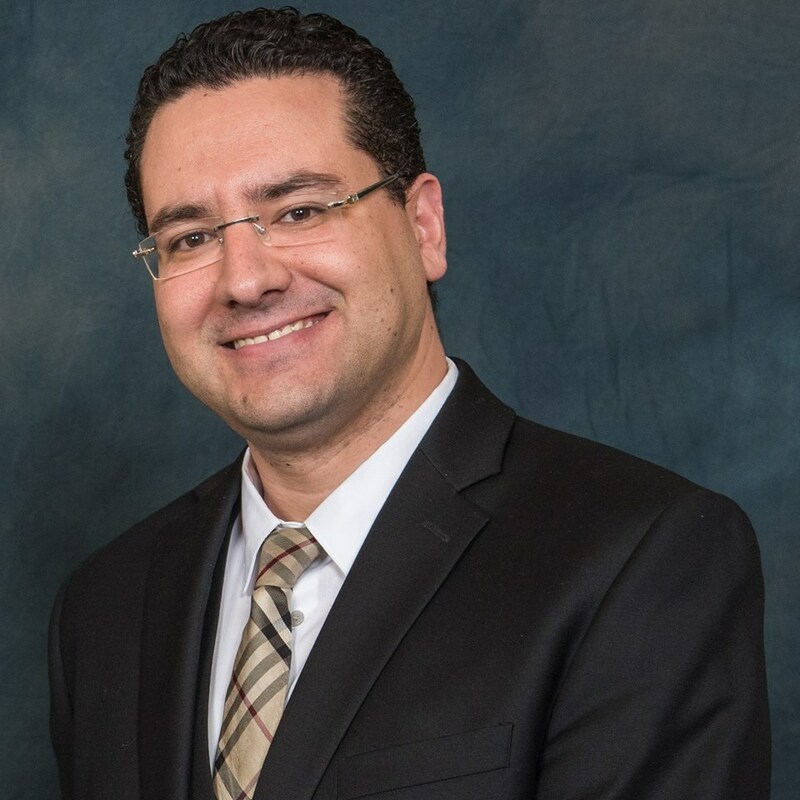 He is currently a Tenured Associate Professor in the Department of Computer and Information Science at the University of Michigan-Dearborn. He received his PhD from University of Montreal in Canada in 2012. He is a recent recipient of the university distinguished teaching (2017), the university distinguished digital education (2018), and the College of Engineering distinguished research (2018) awards. He is the founder of the Intelligent Software Engineering Research Lab (ISE Lab). He received multi-million grants from both industry and federal agencies and published over 120 papers in top software engineering journals and conferences. Dr. Kessentini has several collaborations with various industrial companies on the use computational search, data analytics machine learning and evolutionary algorithms to address several software engineering and services computing problems such as software quality, software migration, software evolution, services quality, services composition, services refactoring, etc. Several companies licensed his research prototypes, via the University of Michigan Technology Transfer Office, on software refactoring and software testing. He is the co-founder of the International Workshop on Refactoring (IWoR) and recognized by many research surveys as a leading researcher in the areas of search-based software engineering and software refactoring. He was also the co-chair of the SBSE track at the GECCO2014 and GECCO2015 conferences and he was the general chair of the 8th Search Based Software Engineering Symposium (SSBSE2016). He is the founder of the North American Symposium on Search Based Software Engineering and an invited speaker at the 2016 IEEE World Congress on Computational Intelligence (Vancouver, Canada) and SSBSE2018. He is associate editor in 7 journals and served as PC member of over 100 international conferences in software engineering and computational intelligence. He will be the PC chair of MODELS2019 and General chair of ASE2021. My main research interests are Search-based Software Engineering (SBSE), Software refactoring, Model-Driven Engineering, Software maintenance and evolution, Software migration and Software testing. My research page has more information about my ongoing research projects. 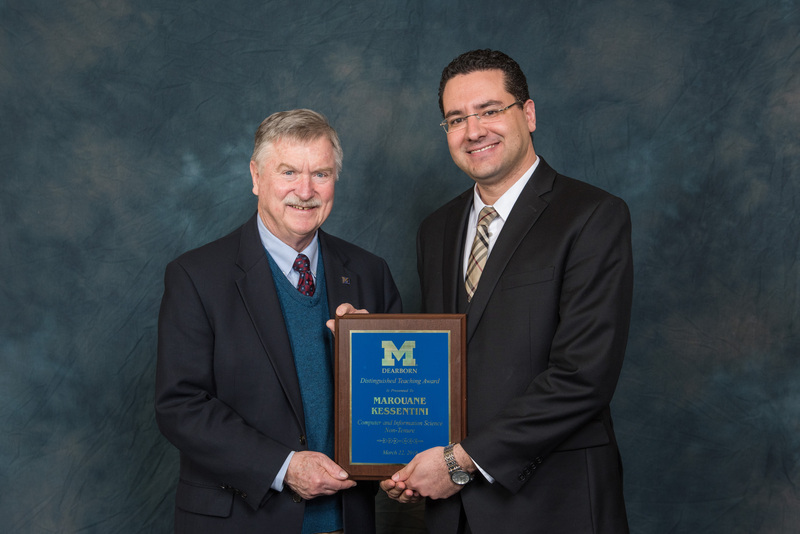 I am always looking for great students, if you are interested feel free to contact me at marouane@umich.edu. Join our ISE Research Lab !